Hand sanitizer dispensers are ubiquitous in modern society. You'll find them at the entrances of restaurants, the exits of restrooms and peppered throughout museums. With all these opportunities to get rid of germs, you might think that we'd eradicate illnesses. Unfortunately, this is far from the truth. If you'd like to study whether these hand sanitizers really work as well as good old fashioned soap and water, create a science project out of it. Every science fair project needs variables to test. In this case, you'd want to clean your hands with hand sanitizer or liquid soap. 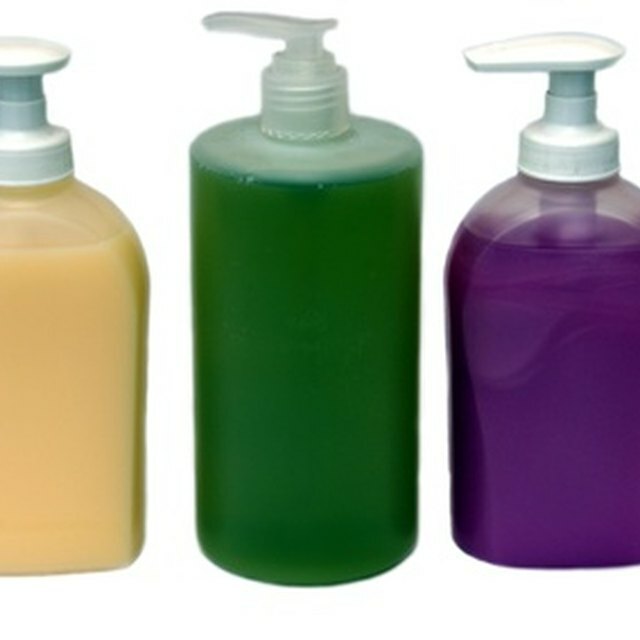 You could further the experiment by testing different brands of sanitizer and soap. For example, it might be interesting to see whether brand names work better than generic brands, or whether there really is any truth to a soaps "antibacterial" claims. You might even test the results of just washing your hands with water. Not only will you need the sanitizers and soaps that you're going to test, you'll also need something in which to grow the bacteria. Petri dishes are the standard equipment for this, and you can easily purchase bacteria-growing kits that come with the agar nutrient you'll also need. Finally, you'll need something to collect the bacteria such as a cotton swab, and labels so that you know where you took your samples from. Boil the agar -- with an adult's help, if necessary -- and pour it into the petri dishes. Immediately clean your hands with either the sanitizer or soap. In this experiment, the "control" is the amount of time you spend cleaning your hands, so watch a clock to time how long you're washing. Once finished with this, swab your hand with the cotton swab and wipe it on the agar in the petri dish. You'll have to repeat this process for each variable you're testing, however, you won't want to do it all at the same time. This will corrupt your results. Instead, choose a specific time of day, with the understanding that your hands will come into reasonable contact as you go about the day. Alternatively, if you have a source of germs readily available -- such as a sick sibling -- you could intentionally contaminate your hands prior to washing. The results of your experiment should be of interest to everyone at the fair, so create a display board that draws people in. For example, you might simply write "Sanitizer vs. Soap" in big letters or "How Clean Are Your Hands?" Visitors will want to see the results you got, so take pictures or present clearly-labeled petri dishes for view. 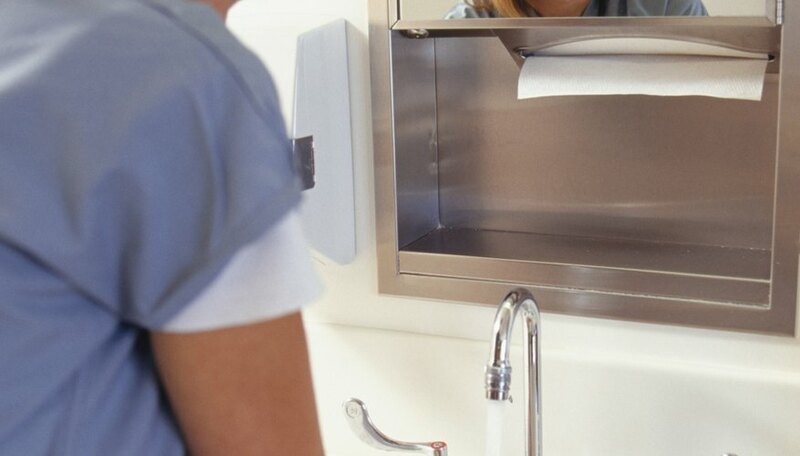 If you want to go a step above, offer people the opportunity to clean their hands at your station, showing them how much sanitizer or soap to use and how long to spend cleaning their hands. The length of time might be surprising. McCormick, Maggie. "Science Fair Projects on Hand Sanitizers or Liquid Soap for Killing Bacteria." Sciencing, https://sciencing.com/science-fair-projects-hand-sanitizers-liquid-soap-killing-bacteria-12312650.html. 25 April 2017.